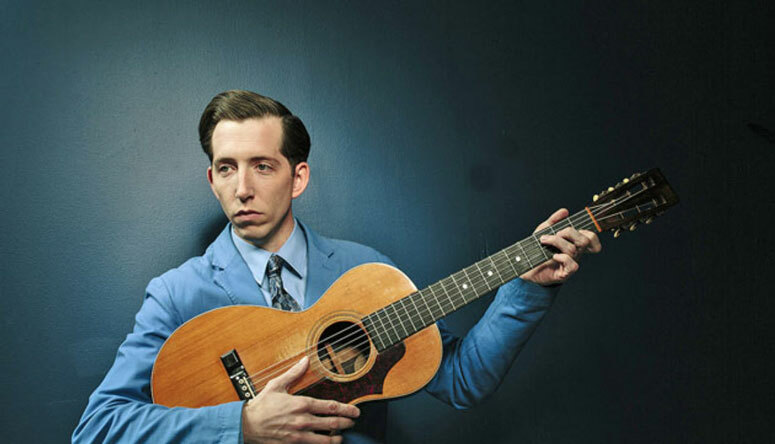 Due to illness, Pokey LaFarge will be unable to perform on April 14th as originally planned. His show has been rescheduled for April 20th at the same time and place. Pokey LaFarge is a musician, songwriter, bandleader, entertainer, innovator and preservationist, whose arsenal of talents has placed him at the forefront of American music. Over the last decade, Pokey has won the hearts of music lovers across the globe with his creative mix of early jazz, string ragtime, country blues and western swing. Pokey’s music transcends the confines of genre, continually challenging the notion that tradition-bearers fail to push musical boundaries. Rather than merely conjuring up half-forgotten imagery of days past, Pokey is a lyrical storyteller, the plot delivered smoothly through his dynamic vocals. Both on stage and off, his effortless wit never fails to charm audiences, giving way to a live music experience that manages to be grandiose and unassuming all at once. Born in the heartland of America and based in St. Louis, Missouri, Pokey’s Midwestern charisma welcomes his audiences with open arms. Pokey LaFarge is on a mission, encouraging fans worldwide to think differently about what it means to celebrate musical traditions. Simply put, Pokey explains, “It’s not retro music. It’s American music that never died.” An amazing and fun finale to our season!